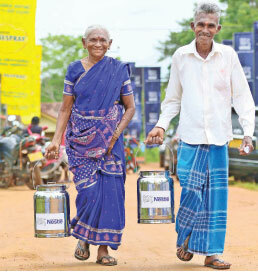 The chilled storage facilities are vital in a tropical climate, as it offers farmers a means to keep their milk fresh until it is transported to Nestlé’s factory in Kurunegala. 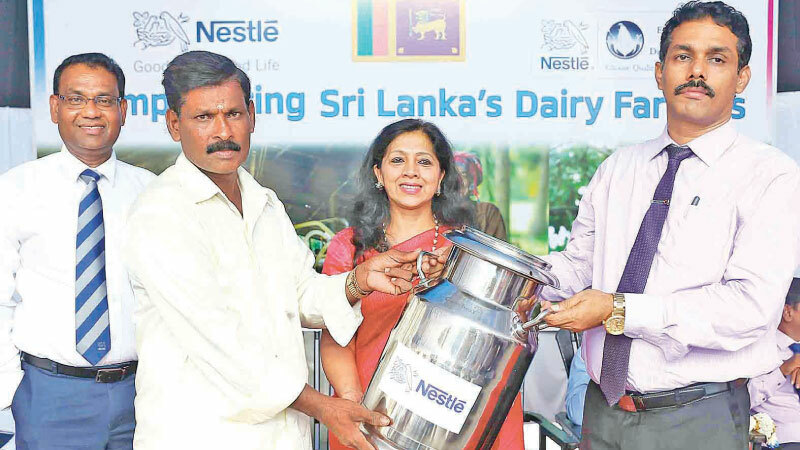 The facility adds to Nestlé’s extensive milk collection network across the island, which currently supports approximately 20,000 Sri Lankan dairy farmers. “As we continue to work with local farmers and provide them the training and resources they need to produce more high-quality milk, we are enhancing our manufacturing capacity for dairy products in parallel, to support the increasing milk supply. We have come a long way since we first began our work in helping to make Sri Lanka’s dairy industry self-sufficient, and are pleased to note the high-quality milk that we are able to collect from local farmers today. It is also extremely gratifying that 30% of our dairy farmers are women, at a time when female participation in the labour force is an economic necessity,” said Shivani Hegde, Nestlé Managing Director. Nestlé opened the chilling centre in collaboration with the Madhu Livestock Breeders Livelihood Volunteer Society. Previously, the company’s closest chilling centre was in Vavuniya, approximately 20 km away. Nestlé is currently the country’s largest private collector of fresh milk. As part of its dairy development work, Nestlé offers farmers regular training on a range of technical topics and best practices; including cattle feeding and breeding, and animal health and farm management. Nestlé’s long presence in the industry and hands-on support has seen a considerable increase of female dairy farmers in recent years, who are encouraged by the company’s timely payments, regular training and extensive technical assistance. In 2017, the company paid out Rs. 3.5 billion to local farmers for procurement of fresh milk alone.